Make art that imitates life. 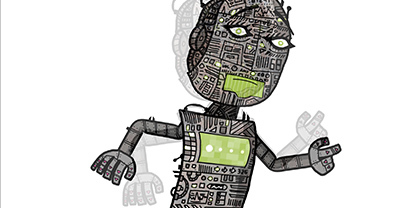 Create a 2D character and make it come alive. Character Animator CC copies your facial movements so your characters act — and react — realistically. 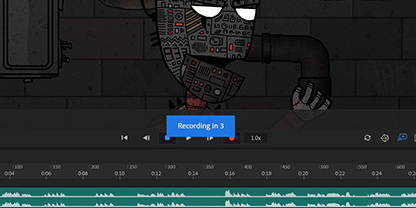 Create 2D animations for live broadcasts, student projects and cartoons. Or just wow your friends on social media. 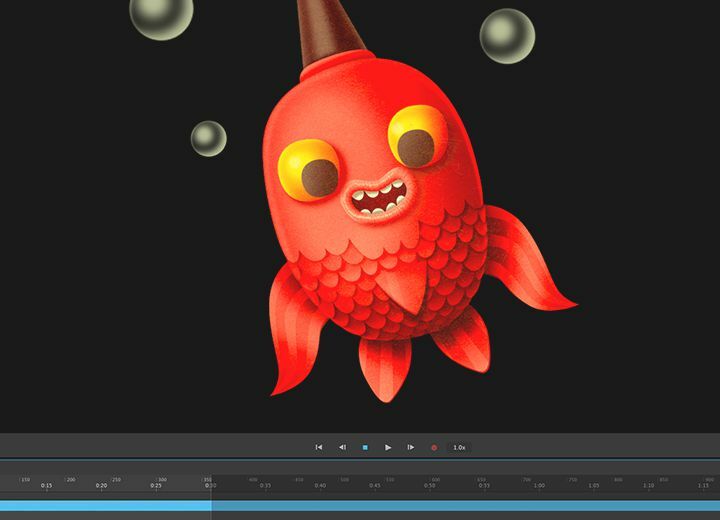 Build your character from scratch in Illustrator or Photoshop — or start with one of the puppets already available in Character Animator. 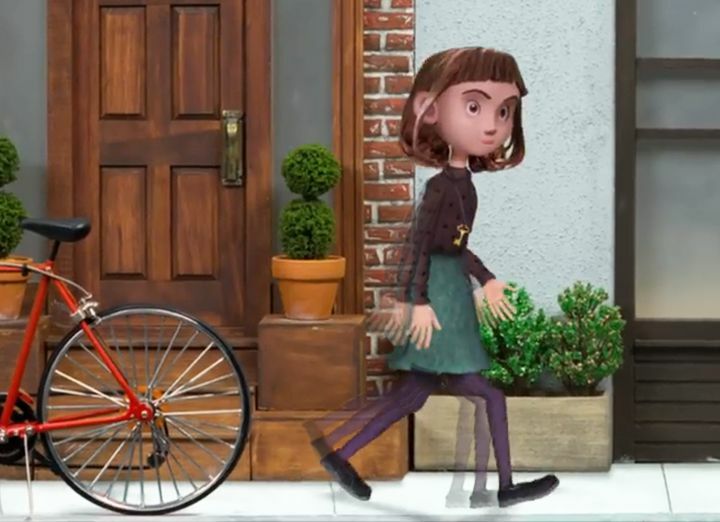 Animations with legs — and arms and heads. Getting your character to move doesn't take a lot of work. Control gestures like waving with your keyboard or MIDI device. Movements can be saved as buttons, sliders or knobs so they're easier to remember than key commands. And you can smooth transitions between facial poses for a hand-animated look. Character Animator tracks your facial expressions — from raised eyebrows to moving lips — in real time and records your motion and voice using your webcam and microphone. So when you look surprised, happy or angry, your character does, too. Send your character out into the world. Go live on Facebook or TV. Amuse your friends on social media. Or send it to Adobe Premiere Pro CC or After Effects CC to include in bigger projects like a film or cartoon. 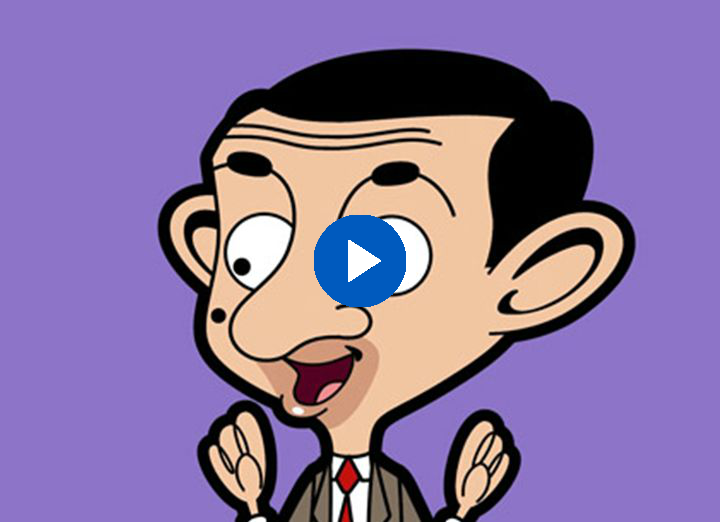 See how we helped the bumbling Mr Bean interact with his devoted fans in real time on Facebook. 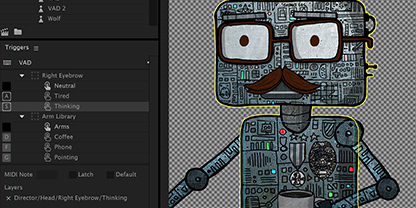 Character Animator is always getting better, with new features rolling out regularly. And with your Creative Cloud membership, you get them as soon as we release them. Here are some of the latest updates. Create, edit and organise triggers with convenient layer management and drag and drop actions between panels. Now particles can build on top of each other and react — snowflakes can accumulate to cause an avalanche and bricks can stack up then collapse in a pile. Choose the best app for your animation project. If you want to create cinematic film titles, intros, transitions and more, After Effects is the app for you. It lets you animate type from scratch or with presets right inside the app, add transitions, combine video and images or add effects like snow or fog to get just the look you want. Create interactive vector animations for games, apps and the web or animate infographics or tutorials. 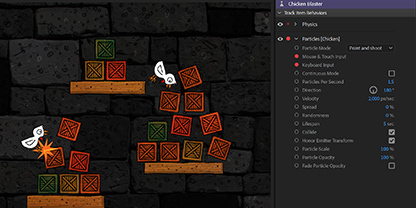 Quickly publish your animations to multiple platforms to reach viewers on desktop, mobile and TV.